When you have too many open applications in your task bar, it sometimes makes it very tasksome to manage all of them simultaneously, the result you fail to complete your task. Here we bring to you a solution that might help you in this regard and focus your attention only to one task at a time. nSpaces helps you create multiple copies of your desktop so that you can have different apps working in different desktops and focus on a single task at a time. 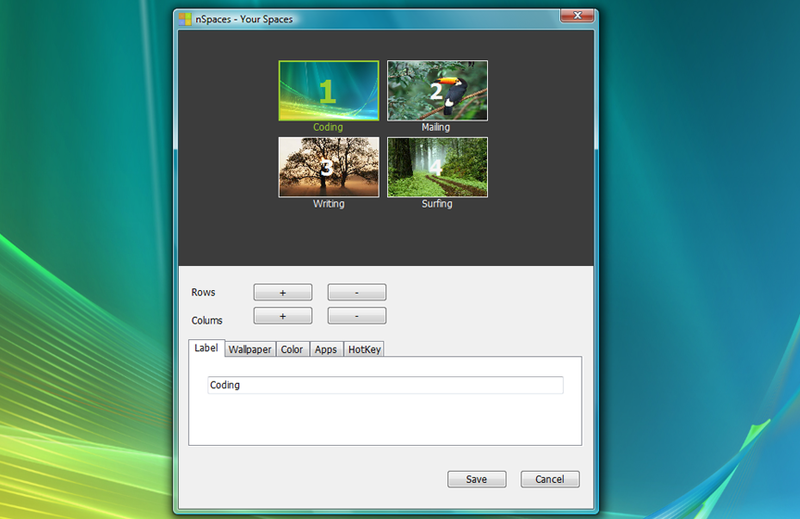 It is a free to use desktop application that you can safely download to your computer and create multiple desktop spaces. Once you install the application, the nSpaces icon appears in your System Tray from where you can control and manage its working. You can edit the number of spaces, the hotkey and te activation keys. You can even specify a unique label to each of your spaces for easy recognition and switching. Each of the spaces can open and maintain different apps for doing different work and the apps remain there while you work on some other space. You can change the desktop wallpaper and personalize the view on each of the desktop windows. Try it now, download here.